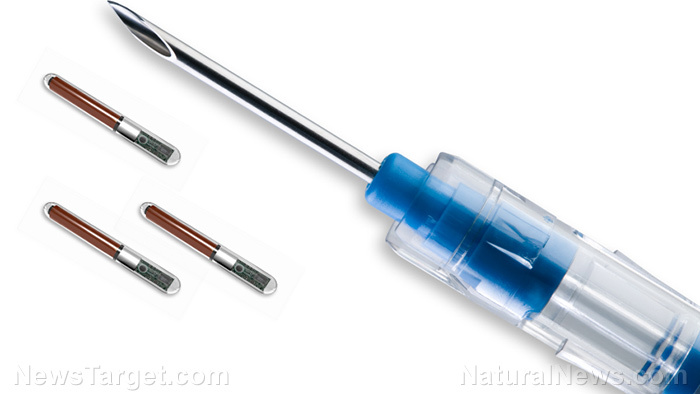 (Natural News) If you had a choice in the matter, would you allow your employer to “chip” you — that is, have a tracking device medically implanted in your body so your company could keep tabs on you 24/7/365? If you say no, you’re no doubt in the majority. But some employees of a Wisconsin-based company have actually agreed to let their employer have RFID tracking devices implanted in them. As reported by ABC affiliate KSTP, the company will become the first in the United States to offer microchip implantation for its workers. “It’s the next thing that’s inevitably going to happen, and we want to be a part of it,” said Todd Westby, the CEO of Three Square Market, a firm that designs software for company break rooms that are common in larger office settings. “We’ll come up, scan the item,” he explained to the local station, as he demonstrated how the technology would work in an actual break room market kiosk. “We’ll hit pay with a credit card, and it’s asking to swipe my proximity payment now. I’ll hold my hand up, just like my cell phone, and it’ll pay for my product,” he said. Already more than 50 of the company’s employees have agreed to be chipped; the process began in late July. The chips are about the size of a grain of rice, the local network reported. In addition to purchasing kiosk items, employees will also utilize the chip to enter the business premises and to log on to their computers. The cost of each chip is around $300, and the company is paying for them. The device is implanted between the thumb and forefinger, and the data contained therein is encrypted and secure (until hackers figure out a way around the firewall). “There’s no GPS tracking at all,” said Westby (for now). He further offered that microchipping is the “next evolution” in how we electronically pay for things and even said the technology one day may replace passports. Zero Hedge noted that a Swedish company, Epicenter, also began implanting RFID devices inside workers’ hands — and the workers were all about it. They also loved the fact that the chips made getting into work and workstations much easier — that, and the fact that co-workers even threw parties for everyone who agreed to be chipped. Yeah, and such devices also replace your privacy — which is something that is not as cherished by Europeans as it is by Americans. After all, it’s part of our Constitution. And this says nothing of an eventual government requirement for the same thing. Think about it: Congress passed a law in 2005, as an “anti-terrorism” measure, called the REAL ID Act; it is a mandate on federal agencies that restrict “the circumstances under which they may accept state-issued driver’s licenses and identification cards for official purposes,” the Department of Homeland Security states. If you don’t have a federally-compliant, state-issued “ID,” you now can’t board a commercial flight or enter a federal courthouse.